As the World marks this year’s children day, Coalition of eight indigenous civil society organizations under the auspices of Partnership for Advocacy in Child and Family Health (PACFaH), over the weekend said more than 50 percent of under five children in Kaduna State are stunted due to malnutrition. 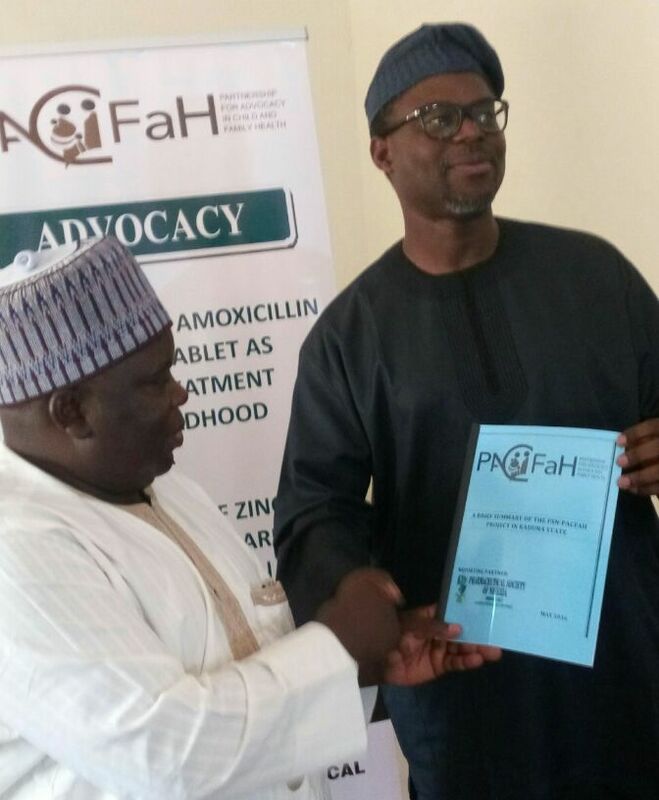 Programme Director, Strategy, Pharmaceutical Society of Nigeria PSN-PACFaH, Remi Adeseun, stated this when the partnership took advocacy visit to the Executive Secretary of Kaduna State Drugs & Medical Supply Management Agency (KSDMSMA). He said the malnutrition in children within zero to five years can be manage if the recommendations provided by health partners, like timely release of budget for health sector are strictly adhered to. Adeseun had earlier commended the State Governor, Nasir El-Rufai for demonstrating seriousness to improve the health status of people living in the state by a way of institutionalization of the Primary Health Care (PHC) under one roof which would strengthen delivery of family planning, nutrition and childhood related health issues. According to him, after malaria, pneumonia and diarrhea are top children killer diseases, contributing to the death of 185 out of every 1000 birth before reaching age five. Then he was optimistic that all the medical challenges in Kaduna State are sumantable because saturation history shows that the state has best history of working together with health related partners. “The state governor is doing a great work to have best health practice for his people. Perfecting it is just a step away from where we are today. For example, there is a need to increase procurement and distribution across the healthcare facilities the essential commodities; Amoxicillin Dispersible tablet, family planning, provision of logistics support for the last mile distribution of FP commodities. “The lives of more children and mothers will be saved in Kaduna if these issues are holistically addressed,” he stressed. Responding, Executive Secretary, KSDMSMA, Pharmacist Yohanna Gaiya, confirmed that the present administration has exceptional passion for health, saying a lot of reforms are ongoing. He said this year’s budget is zero budget, targeting those things that are sure of achieving include robust health package not only for mothers and children, but for the entire people resident in the state.